This workbook helps readers to reflect on, experience and integrate the spiritual disciplines into their lives. Designed for use both by individuals and groups, it features spiritual reflections, questions and exercises to cover one full year. 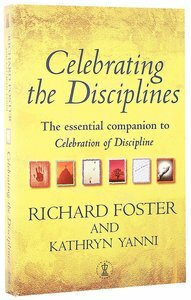 This carefully designed and highly practical workbook puts the bestselling 'Celebration of Discipline' into practice, offering new ways to experience the spiritual disciplines and integrate them into daily life.